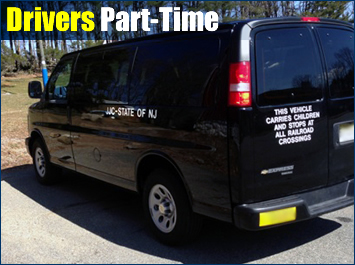 The NJ Juvenile Justice Commission has the following exciting opportunities for part time drivers to transport at-risk youth from their residential program to a regional school for educational purposes in Burlington, Cumberland, Ocean and Warren Counties. These hourly positions are available five days a week, Monday - Friday. The rate is $18.00 per hour. Candidates must have a valid CDL with the “P” and “S” endorsements. or fax to (609) 943-4618. The Juvenile Justice Commission is an equal opportunity employer. The Juvenile Justice Commission is a law enforcement agency and all prospective candidates for employment will be subject to a state and federal background investigation.